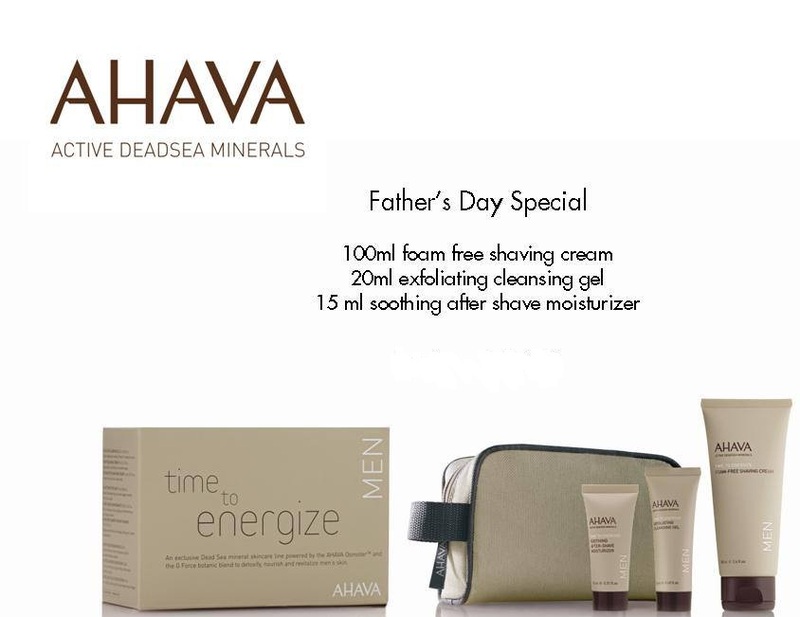 WIN a fabulous hamper and treat your dad this Fathers Day with a luxury skincare hamper by Ahava worth R380! As Father's Day is the 16th of June LUXO wanted to spoil our fabulous dads with a luxurious skincare hamper that consists of shaving cream, exfoliating cleansing gel and soothing after shave moisturiser all in a stylish travelling bag! Ahava skincare products is alcohol free and approved for sensitive skin. It comes in masculine scents such as citrus, woody, ocean and aromatic and will make your skin feel renewed and revived. "What scents can you expect to smell with Ahava skincare products for men?" You can also like their Facebook page here for an even bigger chance at winning. Competition ends 11 June 2013. Really want to win this for my pops! Hay Elrico!! citrus, woody, ocean and aromatic. citrus, woody, ocean and aromatic scents. Making me believe I can do anything & be the best man I can be.